What Is Video Engagement and Why Does It Matter? With the increasing demand for video, especially from management and stakeholders, many learning and development professionals feel less-than-confident in their knowledge of what makes a great video. Although we may have dabbled in the video space, most of us certainly are not experts. So how can we, as learning professionals, ensure the videos we create are effective, engaging, and accomplishing their objectives? Unfortunately, there’s no single answer. But engagement is a great place to start. Once you’ve grabbed and held a viewer’s attention, you’ve gone a long way toward being effective—and effective, engaging videos are far more likely to accomplish their objectives. But what does it mean to have an engaging instructional video? For video, engagement can mean several things, including the length of time that learners viewed the video or if they interacted with or took some action in or around the video, such as completing a quiz, commenting, liking, or sharing. No matter how you choose to measure engagement, the most important thing is getting your viewer to understand and learn. Engagement is a path toward that end. This raises the question: Why is engagement so important? Engagement is a significant factor in determining whether viewers will learn from the materials. If your learners tune-out, they will miss key points and be unable to act on the information. On a broad scale, if learners don't view and pay attention to the video, it is ineffective and not worth the time and effort it took to create it. Keep in mind, though, that engagement is more than just viewers watching your video. If the content is uninteresting or presented in a way that isn’t stimulating, retention and recall will be low. Depending on the complexity of your topic, you may need to adjust your engagement strategies (without going overboard) to ensure positive outcomes. As you start creating video, be mindful to strategically build engagement. You don’t need a bunch of tricks, but you do need a clear understanding of the topic’s relevance for your audience. You also need to build processes and steps that pull the viewer into the learning and provide them with supporting content and materials that help them build on their knowledge through support content or conversations. Bottom line: There is no end-all, be-all checklist for creating engaging videos. It's more like a recipe that requires you to tweak and experiment with new ingredients now and then. Sometimes that means it's amazing; sometimes you'll just have to live with it because while not bad, it's not great either. Even without a recipe, there are ideas you can draw from that can make your video more appetizing—and successful. Remember: every mistake or misstep is just another learning opportunity on the way to reaching your goal. There's a lot more about building video engagement. 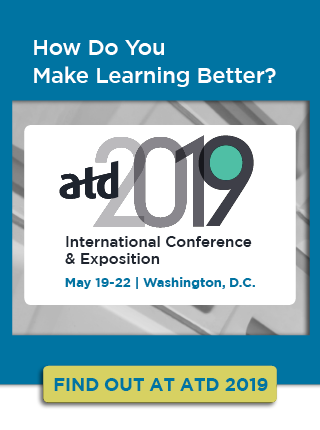 For an in-depth look at these concepts, join me at ATD 2017 International Conference & Expo for the session Engaging Learners with Video: Passive & Active Engagement Strategies. In the meantime, check out the video below for more insight.